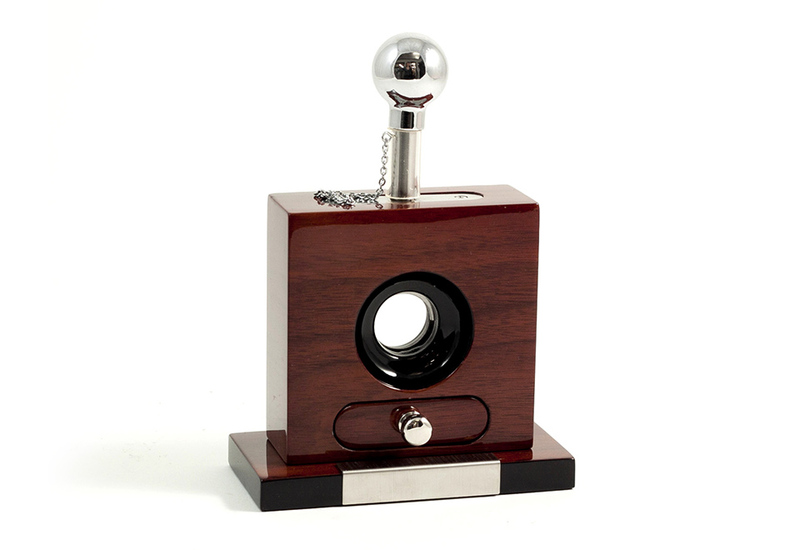 The Tabletop Cigar Cutter is a surefire conversation piece in any cigar-friendly environment. 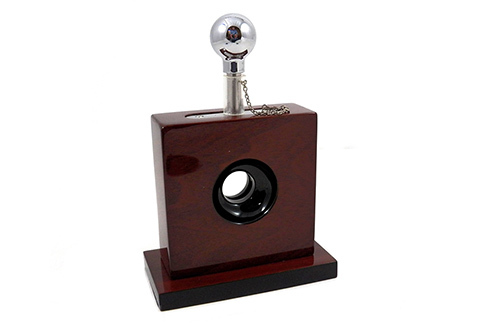 Simply place a cigar in the middle and push the handle to drop the stainless steel guillotine blade. Cuttings drop into a pull-out drawer. 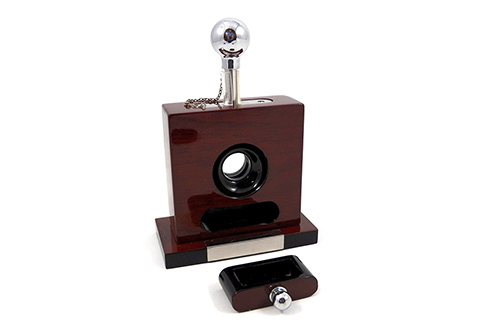 Made of walnut wood with lacquered finish, it features a safety latch and tarnish-proof silver-tone accents. Cuts cigars up to .54-gauge. Only 5 remaining. Expected to sell out in 1 day! You can always find the coolest cigar cutters, cigar humidors and cigar accessories at SharperImage.com. Our Tabletop Cigar Cutter is a unique way to cut cigars for your friends!